SPED Homeschool hasn't added a story. 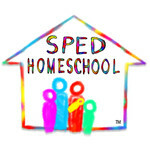 SPED Homeschool is a 501.c.3 nonprofit serving the needs of the specialized education homeschooling community. The overall goal of SPED Homeschool is to increase access to resources, support, and training for families who homeschool children with specialized educational needs to "Help children succeed through parent-directed home education." Our new #SPEDStrong Tribes campaign will further our reach by filling one of the biggest needs in our community - local support. "I feel my child doesn’t fit anywhere. In fact we constantly hear those words, 'your child is not a fit for this program.' Whether it be public school, homeschool groups and co-ops, private school or other community programs. I know how that hurts me, but I cannot imagine how it affects my 14 year old son who has autism." "They don’t accept special need kids...it really makes me sad and disappointed...I can’t find any co ops group to accept her"
"I have attended some co-op meetings and looked into joining a few but at those meetings all I kept hearing was how smart the kids were in that particular program and how advanced they were in academics. I knew immediately that we wouldn’t fit in. Homeschooling is definitely a calling and it feels like your family is on this journey alone...I was recently venting to a friend about homeschool and how difficult it can be and I was told that I needed to “find my tribe.” What tribe? There is no tribe for special needs children and we don’t fit into the “homeschool” tribe." Similar stories to the ones shared about come into our online support group every day. #SPEDStrong Tribes will fill this need by bringing together programs already working in smaller pockets of our community through a comprehensive package anyone can use to create a local support group. Using proven means to help our families where they need the most support, this comprehensive package will strengthen families and help them stay strong as they homeschool their children. Donations towards this campaign will be used to compile this comprehensive program, field test it, and launch these groups into local communities in 2019. We need your help to meet this need. How? Here are some ways you can help. We can't wait to support the specialized education homeschooling community through local groups, and neither can they.
" If SPED starts a support group, it will be great ! It makes us believe that there are still some place that my daughter can fit in and be hugged with LOVE." "I remember how thankful I was to find the Sped group, this was my community...My tribe is this community. I cannot wait to have a local “tribe.” # spedstrong"
"I am so excited about #spedstrong!!!" Why are we at SPED Homeschool so passionate about seeing this program work? Because most of our team members have similar stories to those we shared above. Supportive communities for our families have been lacking since the rise of the homeschooling movement. But, we are passionate about changing that statistic. SPED Homeschool hasn't posted any updates yet. SPED Homeschool is managing the funds for this campaign.